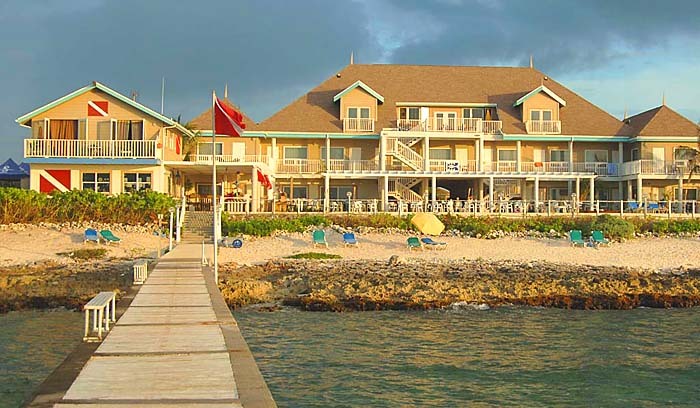 Located on the quiet northwestern coast of Grand Cayman Island (in the West Bay section), this top quality resort offers a different experience. 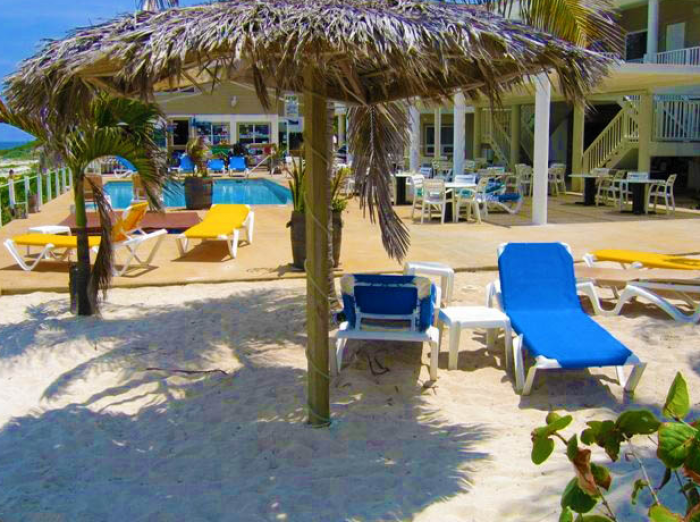 Here you’re away from the bustle of Seven-Mile Beach, yet only a 10 minute drive to the restaurants and shops. When you arrive, you’ll immediately notice this is not a traditional hotel, but rather looks and feels like a Caribbean manor house. Rather than a stuffy front desk, you check in at Duppie’s Bar with a friendly staff member who more likely than not will be the owner, Arie Barendrecht, who is almost always there making sure everything is perfect for your stay. 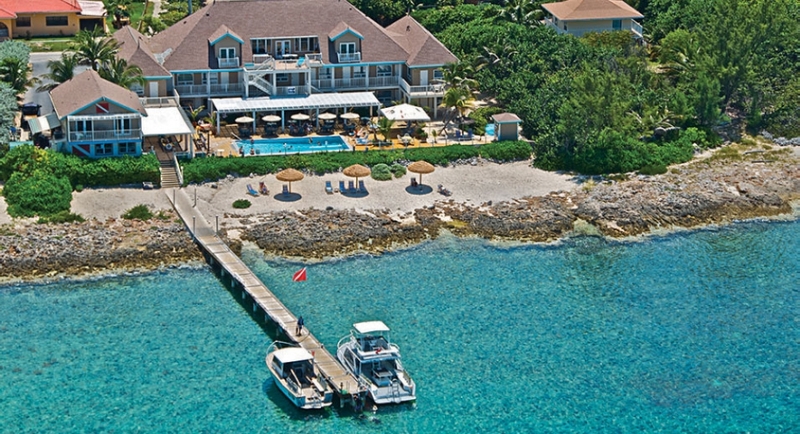 Cobalt Coast offers one and two bedrooms ocean view suites, guest rooms with ocean views, and two bedroom villas. All are stylishly decorated with Scandinavian furniture. All rooms have refrigerators, coffee makers (with complimentary coffee and tea), and hair dryers. The center courtyard has a large pool, jacuzzi and outdoor dining all overlooking the cobalt Caribbean sea. One bedroom unit with spacious separate oceanfront living room featuring coffee table and chairs, dining table and chairs, queen-size sleeper sofa, wet bar (sink), refrigerator, coffee-maker, in-room safe, direct-dial telephone with data-port, cable TV, private bedroom with 1 King bed, full bath with tub, shower and hairdryer. Two bedroom unit with spacious separate oceanfront living room featuring coffee table and chairs, dining table and chairs, queen-size sleeper sofa, wet bar (sink), refrigerator, coffee-maker, in-room safe, direct-dial telephone with data-port, cable TV, two separate bedrooms, one with 1 King bed and the 2nd with 2 double beds, two full bathrooms with tub, shower and hairdryer. Featuring modern Caribbean elegance with either Garden views (2 double beds) or Oceanfront views (King bed) Refrigerator, coffeemaker, in-room safe, direct-dial telephone with data-port, cable TV, table, chairs & dresser. Full bath with tub, shower and hairdryer. (2 units available): Free standing private villa cottage with fully equipped kitchen featuring spacious living and dining room, queen-size sleeper sofa, in-room safe, direct-dial telephone with data-port, cable TV, two separate bedrooms, one with 1 King bed and the 2nd with 2 double beds, two full bathrooms with tub, shower and hairdryer. 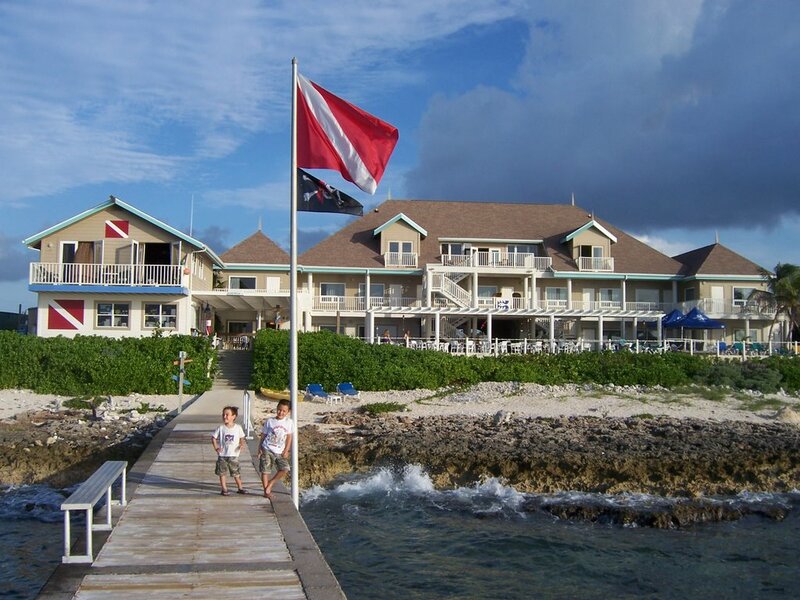 The resort’s on site dive operator, Divetech, is located just steps from the ocean for convenient shore diving. Whether you’re an expert or novice diver, you’ll find Divetech’s friendly and professional staff, all of whom are certified instructors, can accommodate your every need. With the hands-on and personal attention of owner Nancy Romanica, they offer a full range of certification courses including nitrox, trimix, rebreather and free diving in addition to other standard courses such as Openwater through Instructor, and a full range of specialty courses. Scooters are available to quickly zip you out to the North Wall, just a short distance from the resort’s pier. Two-tank boat dives depart every morning at 8:00am. Night and afternoon trips, including Stingray City, are often scheduled. Unlimited shore diving on your boat diving days is included with a minimum three days dive package.